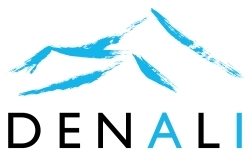 Redmond, WA, February 22, 2018 --(PR.com)-- Denali Advanced Integration, a global leader in delivering enterprise IT, today announced that CRN, a brand of The Channel Company, has named Denali to its 2018 Managed Service Provider (MSP) 500 list in the Elite 150 category. This annual list recognizes North American solution providers with cutting-edge approaches to delivering managed services. Their offerings help companies navigate the complex and ever-changing landscape of IT, improve operational efficiencies, and maximize their return on IT investments. “In today’s digitally transformed global economy, having a proven IT partner is essential to the success of our customers who are looking for innovative ways to improve their customers’ experience. We are honored and humbled to be their trusted IT partner and advisor. Our managed services not only augment and reduce the burden on their IT departments but we also work closely with our clients to find ways technology can help them generate new revenue streams,” said Tracy Smith, Vice President of Managed Services at Denali.